LONDON (AP) — A cruise carrying relatives of some of the more than 1,500 people who died aboard the Titanic nearly 100 years ago set sail from England on Sunday to retrace the ship's voyage, including a visit to the location where it sank. 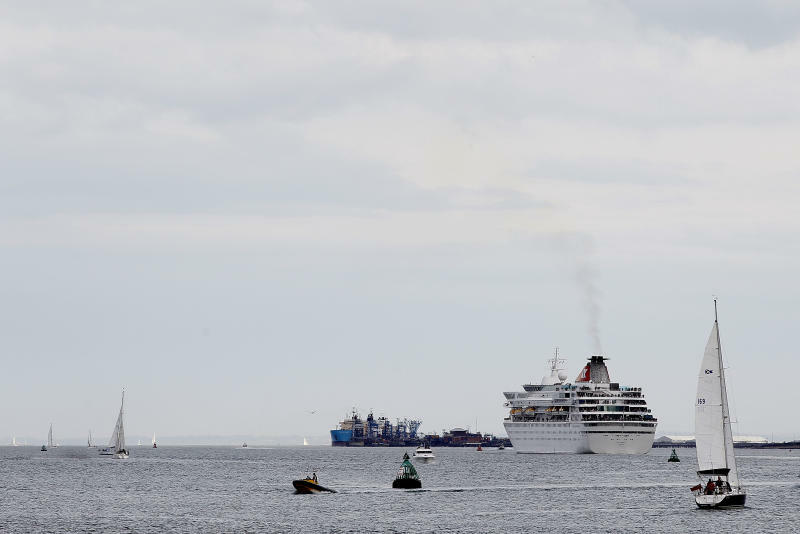 The Titanic Memorial Cruise, carrying the same number of passengers — not including crew — as the Titanic did, cast off from Southampton, where the doomed vessel left on its maiden voyage. The 12-night cruise will commemorate the 100th anniversary of the sinking of the White Star liner. Waving passengers crowded the decks as the ship prepared to set sail, many dressed in period costumes as first-class passengers, crew members, steerage passenger and stewards. Graham Free was dressed as an Edwardian gentleman and described his excitement for the cruise as he waited to board. "I have been a fan of the Titanic since I was nine years old and this cruise is the closest you are going to get to it," said the 37 year old. "The trip has cost a considerable amount, but I wanted to do it." Fellow cruiser Carmel Bradburn, 55, who lives in Australia, described herself as "fanatical" about the Titanic and struck back at accusations that retracing the doomed voyage is in poor taste. "I don't think the cruise is morbid. It's like saying Gallipoli is morbid or commemorating the (Crimean) war," she said. "Remembering those who died is not morbid." 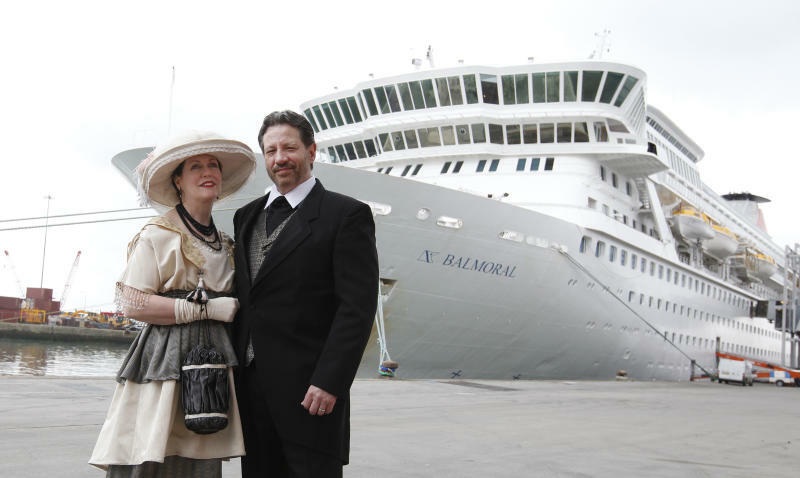 With 1,309 passengers aboard, the MS Balmoral will follow the same route as the Titanic — though the Balmoral had to leave two days earlier than the Titanic did because it is a small and slower vessel. The Balmoral is operated by Fred. 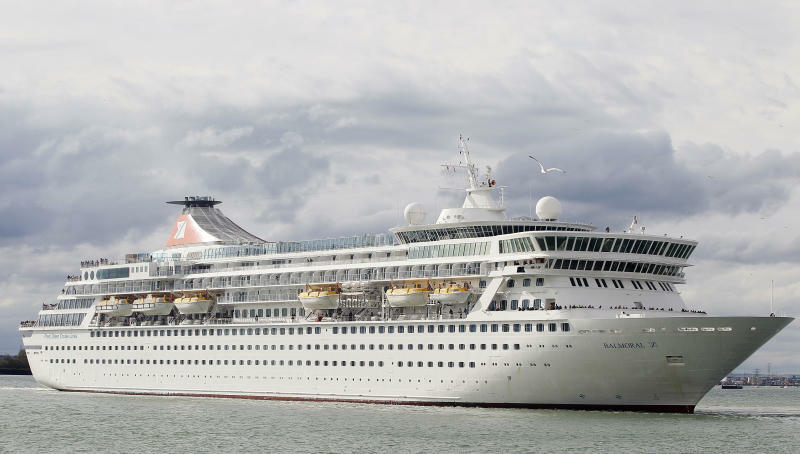 Olsen Cruise Lines, whose parent company, Harland and Wolff, built the Titanic in Belfast. It has been chartered for the event by Miles Morgan Travel, which specializes in tailor-made holidays. The organizers are trying to recreate the onboard experience — minus the disaster — including the food and a live band playing music from that era, in a tribute to Titanic's musicians who reportedly played their instruments until the ship sank. People from 28 countries have booked passage, organizers said, including relatives of some of the more than 1,500 people who died when the Titanic collided with an iceberg and sank on April 15, 1912, in international waters in the North Atlantic. Other passengers include relatives of the around 700 survivors, along with authors and historians. The tickets varied in cost from 2,799 pounds ($4,445) to 5,995 pounds ($9,520). Over the course of the voyage, passengers will attend lectures by Titanic experts such as Philip Littlejohn, grandson of a Titanic survivor. Littlejohn said he is sure his grandfather would be proud to know his story would be shared with passengers on the Titanic Memorial Cruise. "It will be an emotional moment when we are over the wreck site, where I dived in 2001 and where my grandfather left Titanic rowing Lifeboat 13," he said. While on board, passengers also will dine on meals based around dishes served in April 1912, with a formal dinner on April 13 made up entirely of dishes served aboard the Titanic. Cruise organizers have set up a special memorial service on April 14 to start at 11:40 p.m. to mark the moment Titanic hit the iceberg, and later at the exact moment when the ship sank. The cruise is among an abundance of commemorations and memorials to the reputedly unsinkable ship that have sprung up to coincide with the 100th anniversary of the Titanic's doomed voyage.